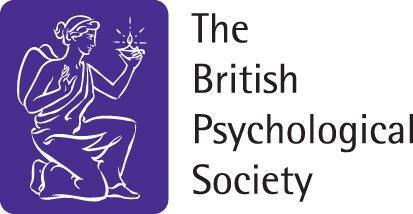 ‘Upgrade’ your McQuaig Interpreter status to become a BPS Qualified Test User recognised by the British Psychological Society. Find out more. Conduct psychometric tests fairly, effectively and ethically with advanced knowledge and practical skills. Learn a wide range of skills in psychometric testing. Learn multiple tests and different assessment techniques. Become the registered ‘expert’ for your organisation. McQuaig Interpreters are increasingly looking to develop their psychometric expertise. BPS Test User training is the perfect next step. Nigel Evans is a Business Psychologist with more than 20 years’ experience providing assessment and development consulting services to companies, including Aviva, BBC, Hitachi, Novartis, SONY & UBS. He has extensive consulting, training, researching and coaching experience working at middle to senior levels and has worked in over 35 countries. Nigel holds the highest level of Test Registration issued by the British Psychological Society (BPS) and is their elected representative for the International Test Commission. He is a Chartered Psychologist by the BPS and a Registered Psychologist with the Health Professions Council. He holds a Masters in Organisational Psychology (University of Bristol) and Bachelors in Psychology (University of Hull). Held at the Henley Business School. A nationally recognised qualification in test use recognised by employers. Membership of the BPS’ Register of Qualifications in Test Use (RQTU). Free online access to reviews of tests. Quarterly editions of Assessment & Development Matters (ADM) delivered and online at the PTC website. Discounted rates on five CIPD courses.